I walked seven miles in a warm rain today, steeped in the fragrance of wet oak and maple. 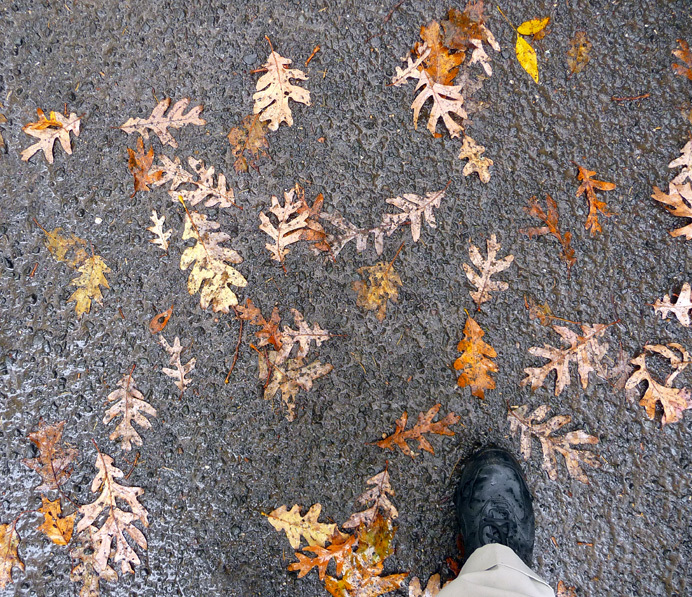 These white-oak leaves had been plastered to the pavement by cars passing on Rockwood Lane. I have always loved white oaks because they remind me of the rocky mountaintops in my native Pennsylvania, where red oaks were too frail to flourish. I remember one gnarly old white oak, clinging to an outcrop over a precipice, where bald eagles cleverly chose to nest. .